You have to give Roku (NASDAQ:ROKU) credit. In the shadow of not one but two downgrades that both made mention of burgeoning threats from Apple (NASDAQ:AAPL), Roku forged ahead with plans that exacerbate the threat. Whether it gives Roku stock a little more breathing room remains to be seen. While Apple’s video ambitions appear to finally be inclusive of other services and platforms, Roku is looking to elbow rival content providers out. Some observers called it an outright switch to non-neutral platform. The point is well taken too. The popularity of the company’s streaming devices was driven by their ease-of-use. That’s changed, though Roku’s set-top boxes still readily work with almost all apps. 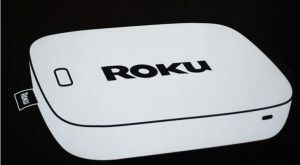 Still, even a watered-down shift in how the company treats its partners may flag major changes in how investors should evaluate Roku stock going forward. The new mindset was unveiled via a blog post on Tuesday. With the update to Roku OS 9.1, eligible devices will see a different interface when they use the Roku Search feature. Now, the results will look a lot like a Netflix (NASDAQ:NFLX) search results screen, grouped as (from the top down) New Categories, Free, then Rent or Buy. The Free group is where Roku has shaken things up the most. Free content was never actually free for consumers. It was ad-supported, or available through a traditional subscription to cable television, or both. Roku’s own contracted ad-supported content is now seamlessly, quietly injected into the Free suggested results of a user’s search. In that same vein, a playback of a missed movie or program will only occur if and when that content becomes available through The Roku Channel, or unless a user specifically requests that content be provided by a third party. It’s hardly sinister, but it does prompt questions about Roku’s plans for the future less than a year after the company’s ad revenue eclipsed hardware revenue. The move further blurs lines other players have been willing to blur anyway. Apple is chief among the recent blurrers. Last month, the consumer-tech giant unveiled what it’s calling Apple TV+, which is essentially a wrapper than combines the company’s home-grown content into a platform that also pipes in a consumers third-party subscriptions. It’s not a direct threat to Roku, but indirectly it presents another reason for consumers to skip a purchase of Roku hardware altogether, which is the key means of generating ad revenue. Guggenheim and Citi each downgraded an already-expensive Roku stock on the sheer uncertainty of Roku’s future marketability. Guggenheim’s Michael Morris also made a point of mentioning Amazon.com (NASDAQ:AMZN) and its foray into advertising video on demand (AVOD). The ecommerce behemoth has already launched such a service, in fact, but is reportedly interested in expanding its venues. The AVOD sliver of the business has far from gelled. Indeed, the subscription-based side of the streaming industry is still in flux; it’s still not entirely clear what the best way to approach it is. Still, to the extent that market can be forecasted, Digital TV Research estimates that part of the industry will drive $47 billion in annual revenue by 2023, or one-third of the video-on-demand market, versus 2017’s $27 billion. It’s too soon to say where Roku stands in its effort to capture a piece of that pie, before or after the update to Roku OS 9.1. Roku’s move away from complete neutrality isn’t necessarily a swing to the complete other end of the spectrum. It’s somewhere in between, and much less dramatic than some headlines suggested. Never mind that Roku stock was downgraded by two different analysts on the advent of Apple TV+. If not Apple, another VOD player was going to do something like it. Indeed, other players were and still are blurring the lines between message and messenger. That was never not going to be the case. Roku is simply doing the same. The key here is figuring out how effectively Roku is going to inject some self-serving options into its interface. It can easily do this if it does so gently without irritating users. If it pushes to hard, they’ll revolt and look for other streaming VOD boxes in the future. It’s not the black-and-white matter it’s being made out to be at least not yet. Whatever the future holds, somehow it seems likely Roku knows it’s better served by not over-promoting itself at the expense of all the content providers it relies on. This selloff may prove to be a nice entry opportunity. Article printed from InvestorPlace Media, https://investorplace.com/2019/04/recent-downgrades-roku-stock/.